Join us for the first annual Dolla Day! - RESPECT MY VOTE! Join us for the first annual Dolla Day! 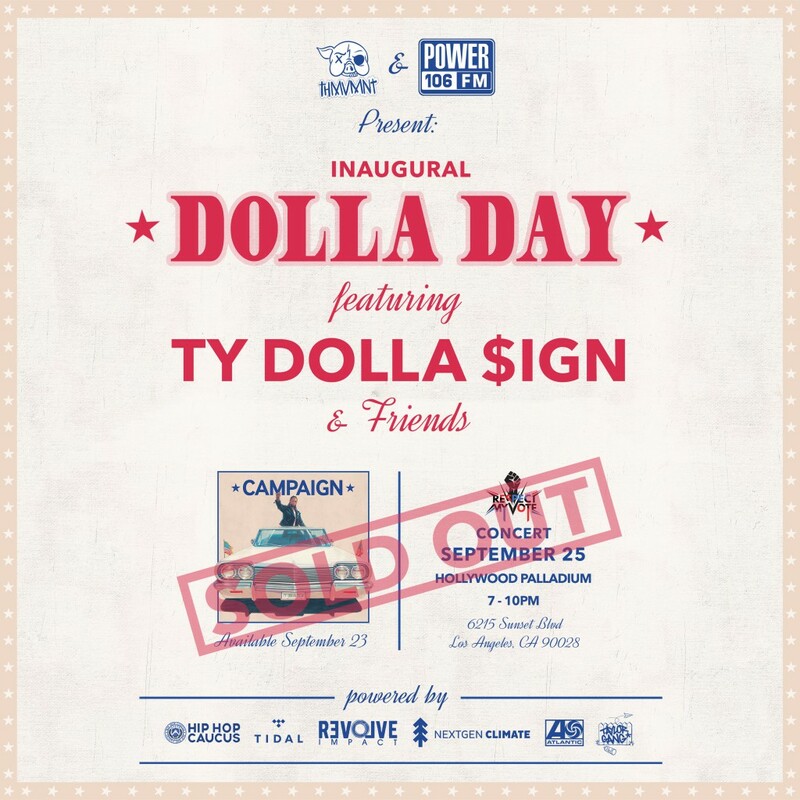 Join us for the first annual Dolla Day featuring Ty Dolla $ign & Friends on September 25th!